A three week, one thousand mile odyssey round the Scottish Highlands on the back of author Ben Birsall's trusty 1979 Vespa 50. Ben is armed only with paints and brushes, pots and pans, one small tent and something called a 'Kelly Kettle'. Visiting over 40 of Scotland's better-known and lesser-known distilleries, capturing on canvas the rugged landscape and camping along the way, Ben offers a fascinating insight into the myths and mysteries of the whisky world. 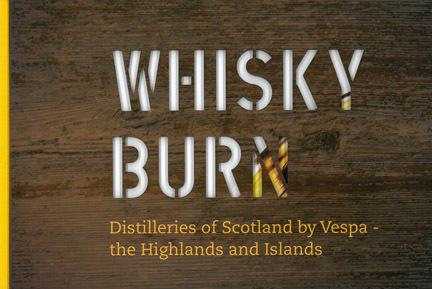 Colourful, engaging, historically accurate, informative and entertaining, Whisky Burn inspires the reader to learn more, perhaps to ride out along same route and imbibe - though not simultaneously of course.